Former Bayview resident Patrick Taylor, ‘Bill’, presents us with a man who grew tall when Australia was becoming a new nation that was strong, independent and with its own unique voice. He embodied all the beliefs of ensuring Australia represented the new world evolving by establishing in his children and through his own attitude to his work the tenets of his pioneer father. Contributing to Nationhood and Community shaped a lifelong path of bravery and staying close to his love of sky and sea. Born the third son of Patrick Thomson Taylor, a businessman who became chairman of Sydney Ferries Ltd, North Shore Gas Co. Ltd and New South Wales Fresh Food and Ice Co. Ltd, deputy-chairman of the Australian Gas Light Co., and a director of the Newcastle and Hunter River Steamship Co., Norwich Union Fire Insurance Society Ltd and Toohey's Ltd, and was Mayor of Mosman in 1896, Sir Gordon also pursued life with energy. At 20 years of age he went to England to join the Royal Flying Corps in August of 1916 and flew in the No.66 Squadron. In 1917 he was awarded the Military Cross and promoted to Captain. From then on he flew with the 94 and 88 Squadrons. His brother Kenneth was killed in this war while serving in France. Captain Taylor later wrote 'I deplored the killing and all the other evils of war'. During the second World War he again served, this time with the Royal Australian Air Force, transferring to the Royal Air Force to ferry aircraft from Canada to England. Between wars he flew seaplanes from the harbour, commenced Air Mail between Australia and New Zealand, was chairman of the family firm and also co-pilot with Charles Kingsford-Smith on many trans-Atlantic flights. He wrote and published eight books: Pacific Flight (1935), VH-UXX (1937), Call to the Winds (1939), Forgotten Island (1948), Frigate Bird (1953), The Sky Beyond (Melbourne, 1963), Bird of the Islands (Melbourne, 1964), and Sopwith Scout 7309 (London, 1968). 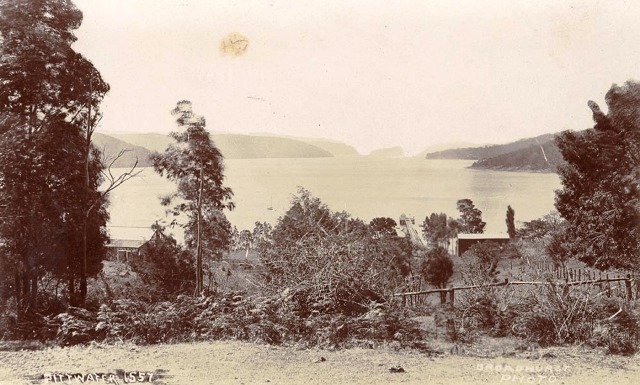 His love of Pittwater began before his birth when his father purchased land from Robert McIntosh Senior, one of our first local constables, and built a house on the waterfront of Bayview in 1894. Patrick used to sail in his dinghy Query to and from Lion Island, a place that remained dear to his heart. His father similarly fell in love with the area, sailing on Pittwater (where, some sources state, he once owned Scotland Island) and farming at Hartley were his main recreations. Bayview was farm lands outside of the few holiday homes then, oyster leases thrived at Church Point. When ‘P.G’ lived there he sailed his own 11m (35ft) sloop on Pittwater. In 1947 he established Loquat Valley School for his daughters Jennie and Sue. Described by some as demanding, candid and a perfectionist when attending to flying details, he also displayed a sensitive intelligent nature with compassion for his fellow human beings throughout his life. On his death his ashes were scattered over Lion Island where his spirit smiles still. Drawing on the philosophy of its founder, aviator Sir Gordon Taylor, Loquat Valley School embraces the spirit of endeavour and challenge. Sir Gordon, who flew with Charles Kingsford-Smith, founded the School in 1947 and named it Loquat Valley after the fruit grown locally by the early settlers. He wrote, "Loquat Valley School is a name with meaning, linking the tradition of early Australian pioneers with the life of the children today and with the future." Mr BROGDEN (Pittwater): It is with great pleasure that I speak today to celebrate the golden jubilee of Loquat Valley Anglican Preparatory School, Bayview. In 1947 Gordon Taylor, later Sir Gordon, founded Ballanger Grange, which was renamed Loquat Valley two years later. It is worthwhile noting the extraordinary life of Gordon Taylor, the founder of Loquat Valley. 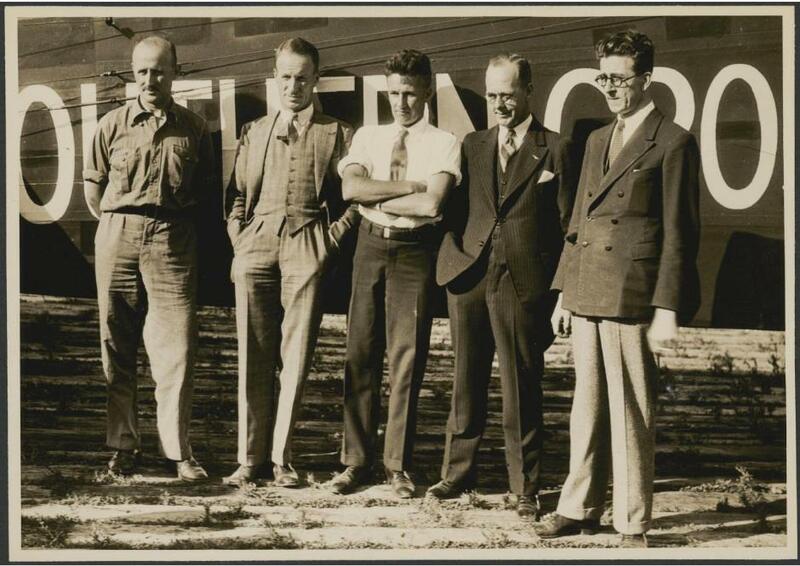 A pioneer Australian aviator, Sir Gordon Taylor was born in 1896 and educated at The Armidale School. After two years service with the Australian Imperial Force he was granted leave in 1916 to join the Royal Flying Corps in England. He was awarded the Military Cross in 1917. After the war Sir Gordon Taylor worked for a time with the de Havilland aviation company, returning to Australia in the mid-1920s. He was hired by Charles Ulm as a pilot on the first Australian National Airways routes to Brisbane and Melbourne. In 1933 and 1934 he flew with Charles Kingsford Smith. 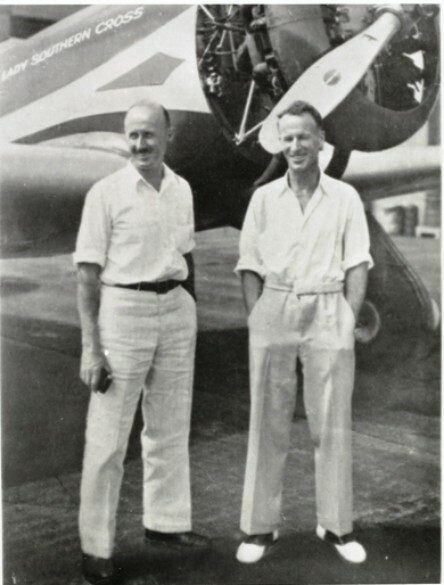 In 1939 Taylor made the first Australia-West Africa flight across the Indian Ocean on behalf of the British and Australian governments to survey possible flying boat bases for wartime use. During World War II he served with the Royal Air Force and was a member of the RAF transport command. In 1951 Taylor surveyed a proposed Pacific commercial aviation route between Chile and Australia. He was knighted for services to aviation in 1954 and died in 1966. During this distinguished career Sir Gordon Taylor also found time to start a school and pursue his vision for broad, limitless education for young Australians. Using his own land just metres from the foreshore of beautiful Pittwater, Sir Gordon built a school whose aims today are to provide an educational environment which allows each child to develop social skills, spiritual growth, academic and artistic competence, emotional stability, and positive physical attitudes. The children are guided in the development of sound self-esteem, a sense of responsibility, self-discipline and respect for others based on Christian principles. Today the school is hidden away amongst loquat trees in Bayview. Its modest buildings and oval are part of the landscape and the school is an important - and now essential - part of the Pittwater community. 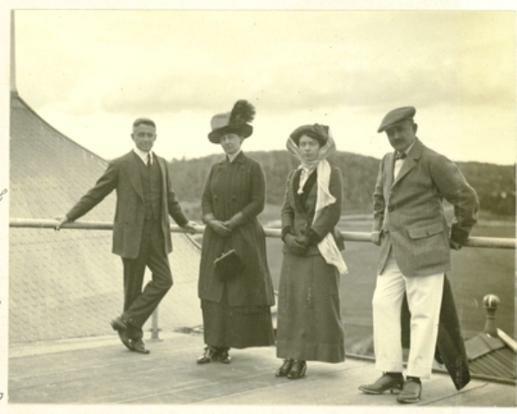 Above (far right) : P G Taylor's father P T Taylor on balcony of La Corniche, Mona Vale (where blocks of units are now) in 1911. Picture a3289053h from the Allen Family Album, image courtesy Mitchell Library, State Library of NSW. 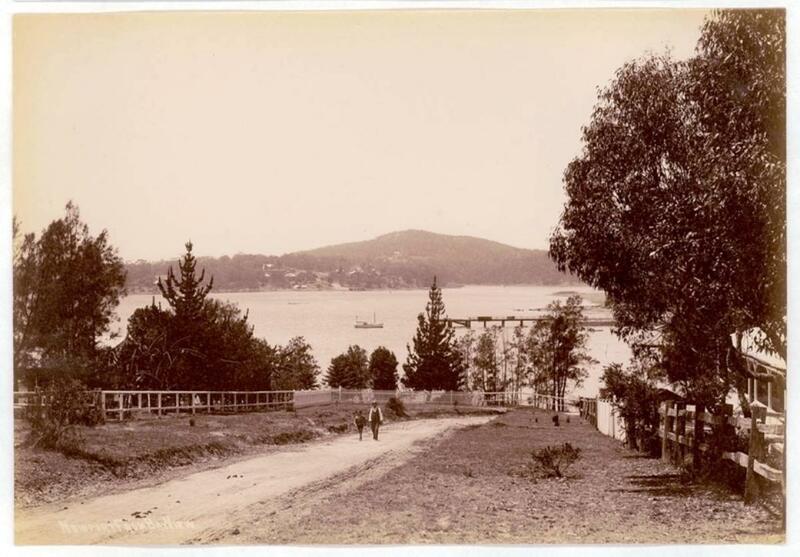 Above: 'Newport From bayview' circa 1900-1910,courtesy state Library of NSW. Below: Taylor and Kingsford-Smith. TWO pioneering expeditions of Australian and world interest are in 'progress at the same time The flying-boat Guba is investigating the possibilities of air routes across the treacherous Indian Ocean. Totally different in character, but also important in its possibilities, and with no less a share of danger is the Simpson Desert Expedition. One man in each of those expeditions has left a wife behind him in Sydney. Both have to wait two months before their husbands return. Here is the story of how Mrs. P. G. Taylor, wife of the leader of the Guba flight survey, and Mrs. H. O. Fletcher, wife of the biologist of the Simpson expedition, are facing up to that two months strain. MRS. P. G. TAYLOR,' wife of the leader of the Guba Indian Ocean flight expedition, has a flat at Vaucluse. For our talk I caught up with her at the Australia Hotel as she was on her way to dine with Captain Taylor's mother, Mrs. P. T. Taylor. That dinner between the two women who are most affected by the absence of Captain Taylor on this adventurous work, contained more admission of their common desire for a protection against anxiety than either of them were likely to admit in conversation. The point is that both women have a huge respect. Mrs. P. G. Taylor gives one a direct impression of this strength. She is cheery and direct in style, and even outspoken enough to admit to some of her anxiety, but is more concerned with keeping up an interest in normal living to kill anxiety. "How are you going to face the strain of the seven weeks the whole flight will be spread over. " Mrs. Taylor? Are you not anxious about your husband?" I asked. "Well, I have had my anxious moments already, but they are over now. I share my husband's confidence In himself and the fine men who are with him. '.What surprised me most was that every- one seemed to think of the women who were left behind, and Captain Taylor's mother and I were simply deluged, with messages from people who were in contact with the progress of the flight. I was all arrayed for an afternoon skating session, when we first heard that the Guba had failed to make Cocos. Skating was off then, and we settled into a vigil of waiting. There were definite sighs of relief when between five and six we heard that the plane had made Batavia. "I was really not so troubled over this episode as I was while I waited for news of their arrival at Port Hedland. The Guba is a flying-boat, and the hop was entirely across country." "I suppose you took a restful sleep after all that?" I suggested. "Not a bit of it. I kept a dinner appointment, and went off to it immediately." Mrs Taylor has worked out a sensible plan to combat this long wait on the return of her husband. She will visit friends and relatives in the country, and left last Thursday for Young on the first lap of her holiday. AFTER a short stay at Young, Mrs. Taylor will stay with her sister, Mrs. Lance Lanagan, near the northern border of New South Wales. Their home is in Yugilbar, at Warialda. The only thing that Mrs. Taylor believes she will miss of city life is the opportunity for ice-skating. "I have not been skating" long, but it is a confirmed passion," she says; She took time off for skating right up till the day before her departure for the country. She has strong interest in aviation, likes flying, but flying does not like her, as the saying goes. "I never seem to get over air-sickness," she complained, "although I have often responded to my husband's keenness to have me come up in his private plane. Perhaps I'll" get used to it if I stick at it. I am treated to talks on navigation, .and like it, when my husband points -out, the guiding stars in flight navigation. It makes astronomy seem a tempting subject. At least, it is useful in taking the edge off personal vanities. Those stars are set in such enormous distances and man seems so small against, it all." But there is one exhilarating interest which Captain and Mrs. Taylor share in common-yachting. The 33ft Christina, which rocks at anchor in the Pittwater, Is their own yacht, and they spend most week-ends sailing her about. Mrs Taylor shares the work of manning the vessel, and can do it by herself. "Still," added this rather modest woman, "there is nothing wonderful in that, as a big yacht is easier to manage than a small one." Last trip together aboard the Christina was the very weekend before the departure of the Guba. Mrs. P. T. Taylor, of Kirribilli, mother of Captain Taylor, is small and silver-haired. The numerous telegrams and messages of the last few days seemed to have "conditioned" her, as she immediately said, "Well, what's the news? Good, I hope?" she said. "We were really anxious when the flying-boat missed Cocos. I seem to have been less steady about this one than others. I have always been so used to my son's flights, ever since the war days, when he threw in his proposal to become a doctor, and I went home with him, where he took up flying. Even the famous Tasman flight with Kingsford Smith scarcely perturbed me'. It seems automatic now to believe that they will get through." Captain Taylor Flies Back-With A Fiancée ; Captain P. G. Taylor, completing the last leg of his return survey flight from Chile, landed at Brisbane yesterday evening-with, a fiancée. He announced the engagement at a reception at the British Consulate at Papeete, Tahiti, before taking off for the final hop to Brisbane. The fiancée is Miss Joyce Kennington, who had acted as Captain Taylor's agent for the most important stages of the South Pacific survey flight from Tahiti to Chile. Miss Kennington joined the survey plane Frigate Bird II at Papeete for the return flight. Miss Kennington, 22 years old and a schoolteacher, is the daughter of Mr. and Mrs. J. Kennington, of Prince's High-way, Arncliffe. She helped Captain Taylor in starting a primary school near his home at Pittwater. She later taught full-time at the school, which was attended by about 60 pupils, including Captain Taylor's two daughters by an earlier marriage. Captain Taylor is 54. His first wife died just before Christmas last year. Frigate Bird II will leave Brisbane this morning and is expected to touch down on Sydney Harbour about 3 p.m. to-day. Rose Bay Flying Base will be open to the public this afternoon. The Minister for Civil Aviation, Mr. T. W. White, last night appealed to the people of Sydney to "turn out and give Captain Taylor a worthy welcome."